HOUSTON – (By Dale King, Realty News Report) – It may be quaint, but no longer in vogue, for collegians to go around campus sporting letter sweaters or looking up information in an encyclopedia book. In truth, 21st century market forces are impacting the educational community in much the same way that changing work habits are reshaping the office environment, says an article written by the head of the Education Advisory Group at the Transwestern real estate firm. 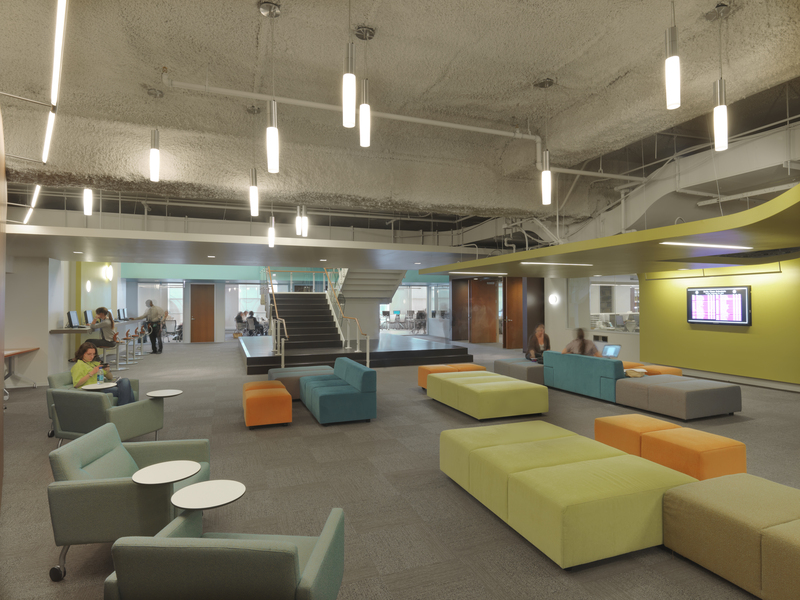 Newer educational facilities “offer features that have taken hold in the business world,” including Wi-Fi connectivity, ample seating, charging stations, glass walls and marker boards. Lecture halls and classrooms, in many cases, are being replaced by multiuse rooms with advanced audio-visual capabilities, much like team rooms in a modern office. In addition to a café or cafeteria, the coffee bar is another addition that many learning institutions are borrowing from the modern workplace.